Where You Can Stay When Come to Bromo ? 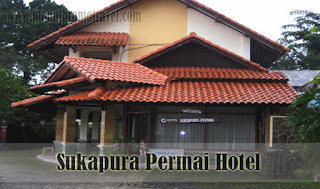 Sukapura Permai Hotel can be a place for you to stay when you came to Bromo o your vacation. Indonesia is known for various tourist attractions such as temples, exotic beaches, or even to traditional villages. Other popular tourist attraction that you can find in Indonesia is mountains. There are so any mountains that you can find in Indonesia. One of the most popular mountains that you can find in Indonesia, especially in East Java is Mount Bromo. This mountain is also known as one of the largest mountains in Indonesia as well. There are various activities that you can do in Bromo area. Before you go to Bromo area, you might need to find hotel first so that you can have a place for you to stay during your visit to Bromo area. You can stay at Sukapura Permai Hotel which is located not far from the Bromo area. One of the most exciting things that you can do in this area is watching the sunrise on the top of the mountain. There are many people who came to Bromo area to watch the sunrise. The sunrise in Bromo area is very beautiful and will make you feel very exciting. If you want to visit Bromo area during your vacation, there are several items that you need to bring so that you can spend your vacation in Bromo comfortably (Read more: tips to mount Bromo). One of the most important things that you need to bring is jacket or sweater. You need to wear jacket or sweater on the top of Bromo since the air is very cold there. You might also need to wear hat as well to protect your head from cold air. Don’t forget to wear proper shoes such as boot or tracker shoes so that you can climb to the top of the mountain safely. You also might need to bring foods as well. You can bring foods that are served in Sukapura Permai Hotel to the top of the mountain so that you will not starve when you reach the top. Even though you can find so many hotels in Bromo area, not all of them can offer you a great deal. If you want to find hotel that offer great deal, you need to pay attention to the facilities that are provided by the hotel. You also need to consider the price that you have to pay as well. To get the best facilities and price at the same time, you should stay at Sukapura Permai Hotel.